Healthy eating is the quickest way to a healthy body, but you wouldn’t think anyone cared when you see what they stuff into their mouth every day. Maybe the reason people don’t care about what they eat is because they don’t know what is good for them in the first place. If you spent a little time educating yourself you could easily become healthier than you’ve ever been in your life. If you have a smartphone there are a lot of apps out there you can use for guidance. We’ll look at a few of the best ones today and you can test them out to see how you get on. Sometimes it’s not easy to pick out healthy food at the supermarket because you have no idea how to read the labels. You need something that can help you out and you don’t have to look any further than Fooducate. Just pick up an item, scan the barcode and let the app tell you what is good and what is bad about it. 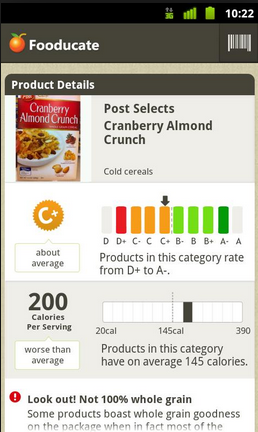 Once you learn how to read the labels you can stop using the app all the time. Eating food from your local farmer’s market is a good idea because it helps to keep the little guys in business, but sometimes you will also find much better deals. The Eat Local app will help you locate the markets close to where you live and it will also tell you what food is in season. You will also find lots of recipe depending on the season that you can try out once you’ve purchased your food. When you’re younger it’s easy to eat healthy food because you don’t have a choice in the matter. 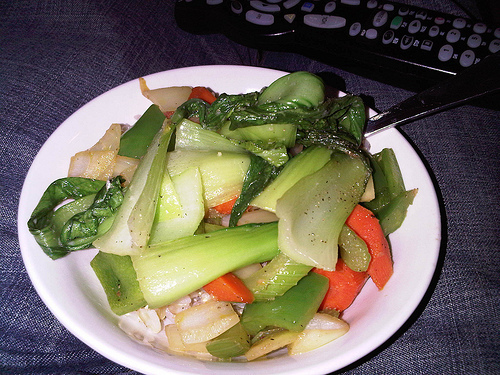 If your mom tells you to eat vegetables you will have to eat vegetables. Once you grow up it’s easy to forget about the rules because there is nobody to tell you what to do. The ShopWell app will take each and every item on your grocery list and give it a score between 1 and 100, so it’s essentially telling you what to put back on the shelf like your mom used to do. If you’ve ever wanted to find the ultimate recipe app your search might finally be over. There are over thirty-thousand delicious recipes to choose from, so everyone will find plenty of things they like. The hardest part of trying out a recipe is buying all the ingredients from the store, but the app makes it easy for you because it will build grocery lists depending on the recipes you want to use. 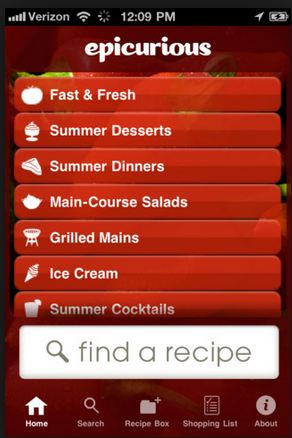 If you thought the last recipe app was great there is a good chance you will love this one too. This time there is more of a social twist because you can to swap recipes with other people. If you think something sounds nice you can save it and try it out. You can also share the recipes with your family and friends so everyone will be able to get in on the action. The author of this post, Nathan Skinner, has a keen interest in fitness and resorts to guest blogging to share his knowledge and ideas. He is part of the team at Walkâ? ?N Comfort, a company that provides custom shoes that reduce hip joint pain. It’s getting harder and harder to find wholesome food. Pack something with trans fats and sugar and companies will make more money by marketing that product. There’s no denying it, food tastes better when it’s been processed and injected with rubbish. The feel good feeling lasts beyond the meal with wholesome foods however. Plus, your face doesn’t look like that pasty concrete mix texture with pallid dry skin and a belly that has grown out of proportion to the rest of your unnourished withering frame. So, wholesome foods get my vote, if only not to end up looking like a 60 day old kipper that’s been left out in the heat of the Sun.